“High quality care for all, now and for future generations” – This is the very least the public deserves from our NHS. But how can we, as commissioners, make this vision a reality? We should ask ourselves: what do we mean by “quality”? A single definition of quality in the NHS was first set out in “High Quality Care for All ” (2008), following the NHS Next Stage Review led by Lord Darzi. This definition has since been embraced by staff throughout the NHS. To assist commissioners in this task, the Quality Working Group of the Commissioning Assembly has co-produced a resource – “Commissioning for Quality: Views from Commissioners” – which sets out five key messages which have emerged from the analysis of a number of CCG quality frameworks and strategies as well as other relevant literature. Ensuring quality is complex and systemic. It is not the sole responsibility of any one organisation but a “collective endeavour requiring collective efforts and collaboration at every level of the system.” (Quality in the new health system – National Quality Board January 2013). There are a number of organisations in the system with a role to play in ensuring quality and it is important they work together to share intelligence and take action where needed. Dr Paul Husselbee is Chief Clinical Officer (CCO) of NHS Southend CCG and has been a GP in Southend for 23 years, having been born and brought up in the town. He is also co-chair of the Quality Working Group of the NHS Commissioning Assembly, was a member of the Keogh Review Board and sits on the Quality and Clinical Risk committee, a sub-committees of the Board of NHS England. 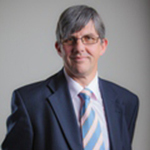 He has been CCO in Southend since October 2012 – a small CCG with around 180,000 patients, co-terminus with Southend Unitary Local Authority and served by a single acute hospital. He has always had a keen interest in the managerial side of the health service, previously being GP advisor to Southend University Hospital, then Co-Chair of the PEC of Southend PCT. Why do CCG’s operate without a team of Governors? Most British public services who are keen to bring forward public opinion, do so by having governors, preferably elected. Every CCG must have a governing body. The main function of the governing body is to ensure that CCGs have appropriate arrangements in place to ensure they exercise their functions effectively, efficiently and economically and in accordance with accepted principles of good governance. The membership of CCG governing bodies must include at least two lay people. One should have knowledge about the CCG’s area, so as to enable them to express informed views about the discharge of the CCG’s function – which would encompass a lead role in championing patient and public involvement. The other lay member should have qualifications, expertise or experience so as to enable them to express informed views financial management and audit matters – which would give rise to a lead role in overseeing key elements of governance such as audit, remunerations and managing conflicts of interest.